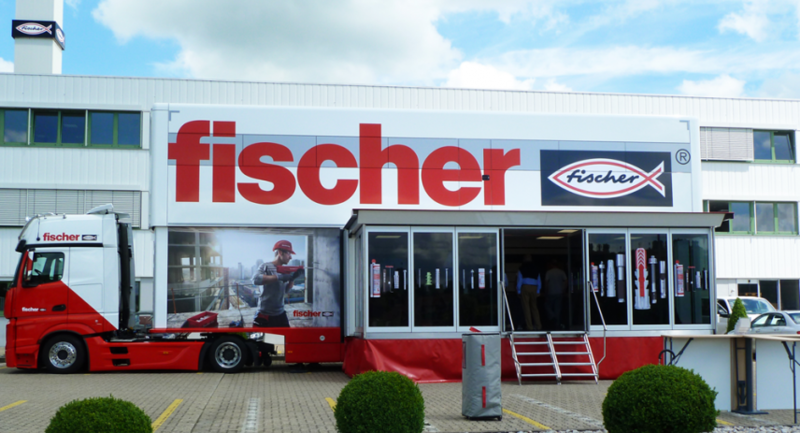 The fischer Truck on Tour. 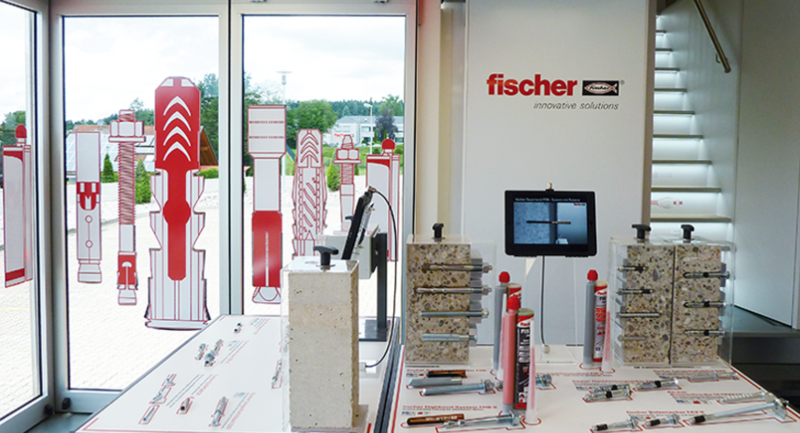 Totems created the interior of the multi functional mobile training, exhibition and experience center of the fischer company. 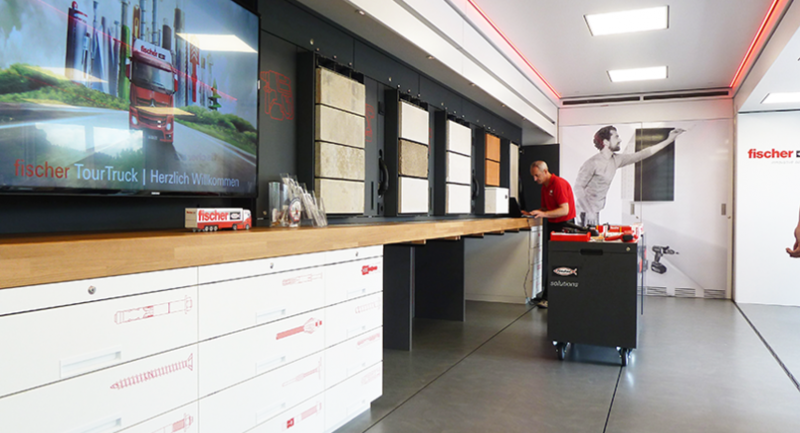 Carftsmen can now expand their knowledge in small groups in theorie and practise. 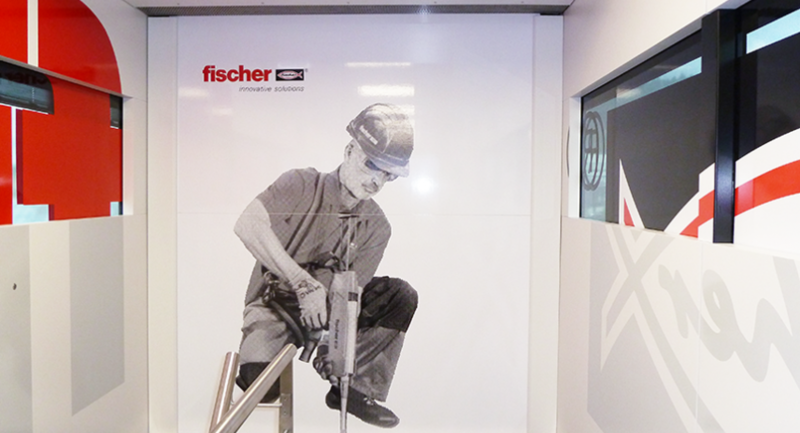 On board they will meet the fischer-experts of fastening and fixing with Know-how and practical tipps. It was an exciting and sometimes difficult work, which Totems lead with fun and enthusiasm to an interesting solution.